Co-producer Marcus Miller comes from both the jazz and R&B world and in fact has worked with many “dream” singers, including Luther Vandross, Aretha Franklin and Roberta Flack, as well as a few dream instrumentalists such as Miles Davis, Wayne Shorter and David Sanborn. Miller’s touch is apparent on the album, particularly on the opening cut which features his jangling loose-change bass anchoring a solid funk groove, overlaid with lead melody and interesting harmonic voicings. Koz says that he had wanted to work with Miller for many years and, although the two have known each other from various gigs and sessions, this album marked their first real collaboration. 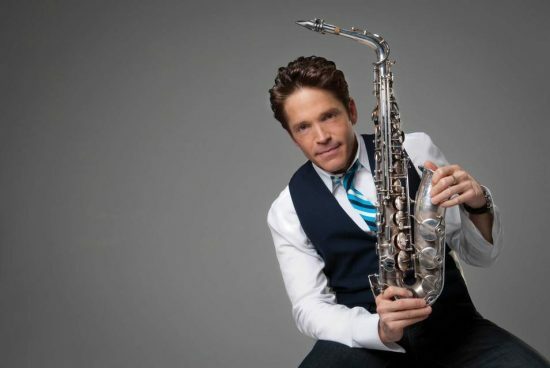 For more information about Dave Koz’s new album, radio show, cruise, Smooth Jazz Christmas tour or any other of his many ventures, you can visit his website.